Using the Internet for relationship marketing involves integrating the customer database with web sites to make the relationship targeted and personalised. Through doing this marketing can be improved as follows. 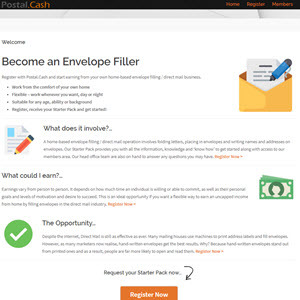 • Targeting more cost-effectively. Traditional targeting, for direct mail for instance, is often based on mailing lists compiled according to criteria that mean that not everyone contacted is in the target market. For example, a company wishing to acquire new affluent consumers may use postcodes to target areas with appropriate demographics, but within the postal district the population may be heterogeneous. The result of poor targeting will be low response rates, perhaps less than 1 per cent. The Internet has the benefit that the list of contacts is self-selecting or pre-qualified. A company will only aim to build relationships with those who have visited a web site and expressed an interest in its products by registering their name and address. The mere act of visiting the web site and browsing indicates a target customer. Thus the approach to acquiring new customers with whom to build relationships is fundamentally different, as it involves attracting the customers to the web site, where the company provides an offer to make them register. • Achieve mass customisation of the marketing messages (and possibly the product). This tailoring process is described in a subsequent section. Technology makes it possible to send tailored e-mails at much lower costs than is possible with direct mail and also to provide tailored web pages to smaller groups of customers (micro-segments). • Increase depth and breadth and improve the nature of relationship. The nature of the Internet medium enables more information to be supplied to customers as required. For example, special pages such as Dell's Premier can be set up to provide customers with specific information. The nature of the relationship can be changed in that contact with a customer can be made more frequently. The frequency of contact with the customer can be determined by customers - whenever they have the need to visit their personalised pages - or they can be contacted by e-mail by the company. • A learning relationship can be achieved using different tools throughout the customer lifecycle. For example: tools summarise products purchased on-site and the searching behaviour that occurred before these products were bought; online feedback forms about the site or products are completed when a customer requests free information; questions asked through forms or e-mails to the online customer service facilities; online questionnaires asking about product category interests and opinions on competitors; new product development evaluation - commenting on prototypes of new products. • Lower cost. Contacting customers by e-mail or through their viewing web pages costs less than using physical mail, but perhaps more importantly, information only needs to be sent to those customers who have expressed a preference for it, resulting in fewer mail-outs. Once personalisation technology has been purchased, much of the targeting and communications can be implemented automatically. 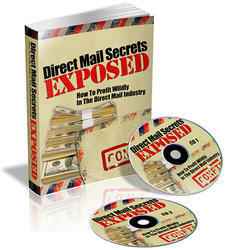 This audio and guide will help you know everything about How To Profit Wildly In The Direct Mail Industry.